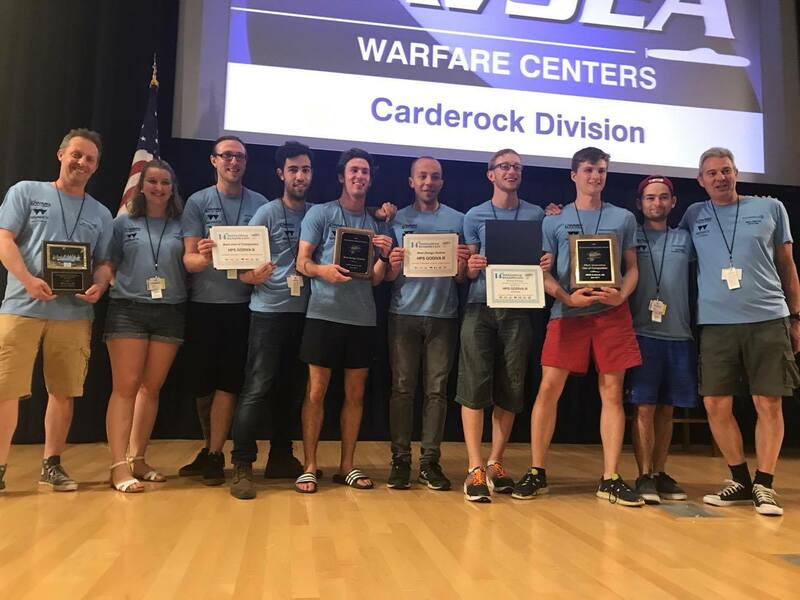 Students from the School of Engineering and WMG at the University of Warwick, who designed and built a submarine, were the UK champions at the 2017 International Submarine Race (ISR) in Washington DC, USA. 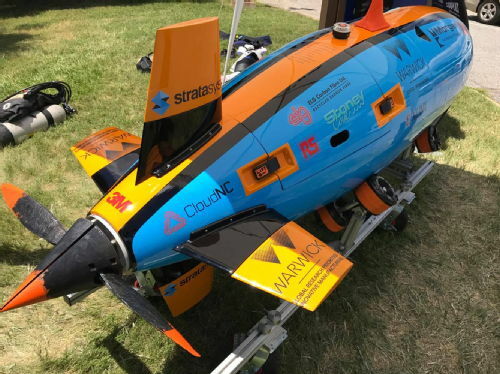 The human-powered submarine – Godiva 3 – achieved the fastest times and won the more awards than any UK team in the competition, scooping the ‘Best Use of Composites’ and the ‘Best Design Outline’ awards. Godiva 3 also achieved third place internationally in its class for speed, reaching 2.52 knots. The Warwick Submarine team is made up of seven Engineering students seven students from the various degree streams in the School of Engineering. The team has access to world-class engineering expertise and facilities from both WMG and the School of Engineering - both academic departments at the University of Warwick. Over the past few months, the team has gone from developing an original concept for the submarine to constructing its parts, conducting thorough analyses, working with sponsors, and now taking part in a major global competition. During the ISR, the team had to deliver a presentation to the panel of judges, submit a design report of their submarine, and race it in time trials on a 100 metre underwater course. "I could not be happier about our successful performance this year! It feels good to see that all the hard work has paid off; the Team has done a truly fantastic job in designing, building and racing the vessel. Warwick Sub has been an incredible journey. “In addition to all the challenges that we women in engineering face, being the female leader of an otherwise all male team was a demanding but very rewarding role. The lessons I have learnt throughout my time, coupled with the many skills procured along the way, have been invaluable as preparation for working life after university. “Despite being the most difficult venture that I have undertaken at university, it is certainly among the most enjoyable, rewarding and memorable experiences I have ever had." “This year’s result undoubtedly represents a significant step forward in the competitiveness of the Warwick Submarine team in the International Submarine Races (ISR). The students have worked hard on a number of areas but very specifically to improve the neutral buoyancy characteristics of the submarine’s hull design, which has enabled them to reliably complete timed runs in the race. “The competition has provided them with the best experiences of working as part of a team, on-the-spot problem solving and interacting with teams from around the world in a spirit of competitive but nonetheless supportive collaboration. 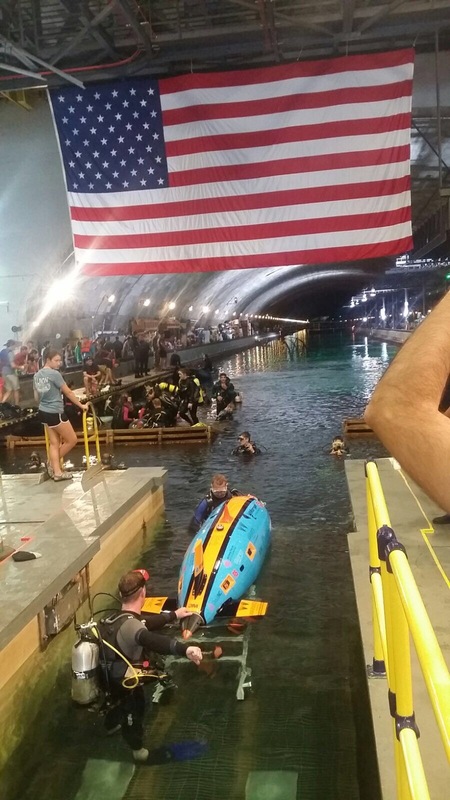 The ISR is a biennial design competition for human powered underwater vehicles, which provides valuable educational experiences to the best and brightest engineering and science students throughout the world. Crew members breathe SCUBA from the air supply carried aboard the submarine and propel the submarine over an underwater course. Each submarine is unique, designed from scratch, and relies upon novel techniques for propulsion and guidance. The construction of Godiva 3 was made possible thanks to generous sponsorship and technical support from WMG, the School of Engineering, Catapult High Value Manufacturing and the Innovative Manufacturing Global Research Priority group at Warwick.